Youth Leadership Jacksonville helps raise up future community leaders - The Resident Community News Group, Inc. | The Resident Community News Group, Inc.
Ellie Riggs and Maggie Verlander; back: Christian Cosper, Conner Clark and Cole Powers learn about history as they cruise the St. Johns River. Crossing the bridge from adolescence to adulthood can be a challenging time for many high schoolers. They spend years studying science, math and other academic subjects, but they aren’t always adequately prepared to step outside the confines of their comfort zones and assume leadership roles. 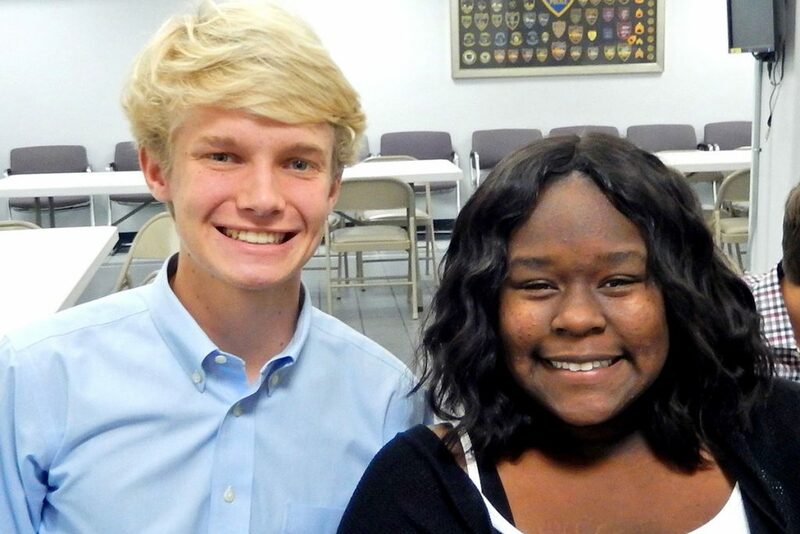 The Youth Leadership Jacksonville program helps fill in that gap by choosing high schoolers who have demonstrated leadership ability and preparing them to become ethical leaders committed to active community involvement. Approximately 54 students per year are selected from participating Southern Association of Colleges and Schools (SACS) accredited high schools in Duval, Clay, or St. Johns County. During the year-long program, participants attend an opening retreat, six program days (one per month) and a closing retreat. Program days deal with specific facets of the community, such as government, criminal justice, human services, diversity and business. Each day combines a behind-the-scenes experience with a great deal of interaction with the appropriate community leaders. The most recent class, which graduated March 9, was comprised of sophomores and juniors, but moving forward, it will be for sophomores only. Patrick Patangan, a junior at Bishop Kenny High School, was among the most recent graduating class. He applied for the program after hearing good things about it from previous participants. His leadership experience includes being the vice president of Dance Marathon at Bishop Kenny, a Children’s Miracle Network fundraiser to raise money for Wolfson Children’s Hospital and UF Health Jacksonville. Additionally, he volunteers at Camp I Am Special, a six-day summer camp experience for children, teenagers and adults with physical, emotional and mental disabilities, and has earned the rank of Eagle Scout in Boy Scouts of America. The first program day, called “In Living Color,” was a memorable day for Patangan, a St. Nicholas resident. The group met with community leaders and discussed ways to prevent bullying at school. They tried to identify the root causes of bullying and come up with ways to help solve the problem. “My favorite thing was being able to meet all the people – it was a very diverse group. We were able to get a better understanding of each other’s thought processes and experiences. We were all very different, but we were also the same – we all want to be leaders and do positive things for the community,” Patangan said. Though he had gained some leadership experience prior to the program, being part of Youth Leadership Jacksonville brought a whole new dimension to his definition of leader. 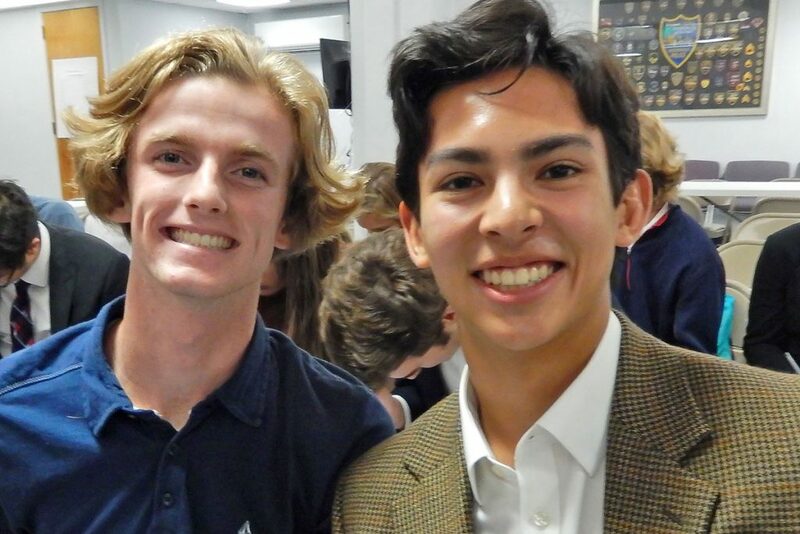 Donald Kohla, a sophomore at the Episcopal School of Jacksonville, learned about the Youth Leadership Jacksonville program from the dean of student life at school. Two of his good friends had participated in the program and had positive experiences, so he decided to apply. Kohla, of Ortega, has been running track since seventh grade and has taken on leadership roles on his track and cross-country teams. He plans to attend college and study something in the business field.